This is a sample VAL 7751 dial. I can modify to your specs. Can modify this dial to be used on various VAL 77_ _ Dials,such as 7750 etc. 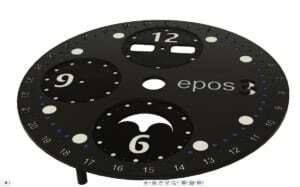 This dial happened to be custom for an EPOS but you can use whatever engraving you wish.